The Pathfinder 2600 TRS may be a bay boat, but it has the goods to do battle with the big boys offshore. 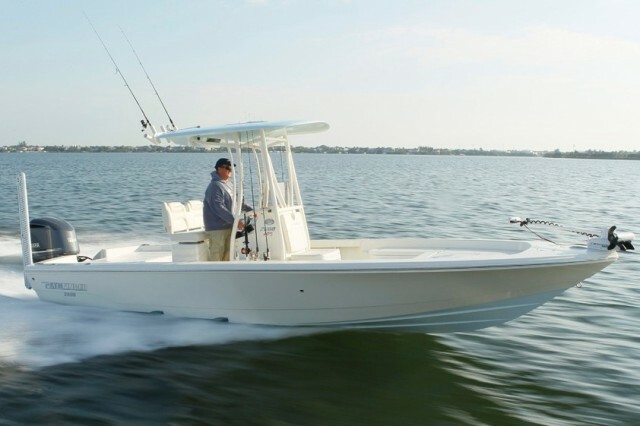 Bay boats combine the qualities of flats boats and traditional center consoles into a cohesive package that’s great for fishing both inshore and near-shore coastal waters, and a few folks believe some models are capable enough to head offshore for the big ones. To put that mindset to the test I traveled to Stuart, FL, where the Maverick Boat Company arranged for me to head 25 miles offshore in its Pathfinder 2600 TRS bay boat. There, I’d tangle with a quarry the area is famous for: the Atlantic sailfish. My guess is you’ll be surprised at how well this craft performed in a big ocean swell—I sure was. Our crew searches the shallows off Hutchinson Beach, FL, for live bait. 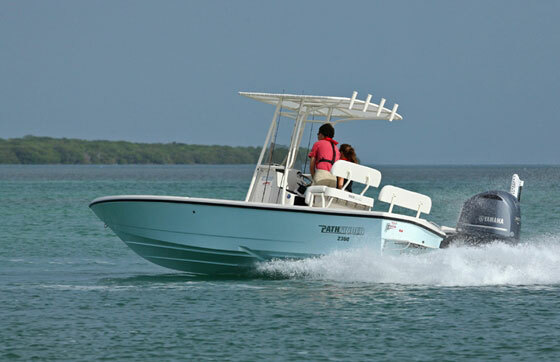 The Pathfinder 2600 TRS is as much at home in the shallows as it is offshore. 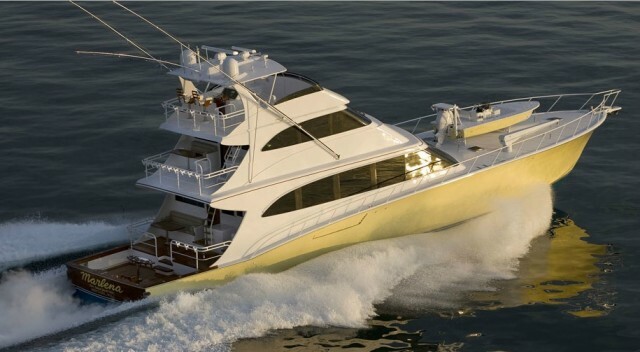 We reviewed a different version of this hull, the Pathfinder 2600 HPS, when it came out in 2013. But the TRS version I ran this summer is a little bit different; it’s got comfort baked in. 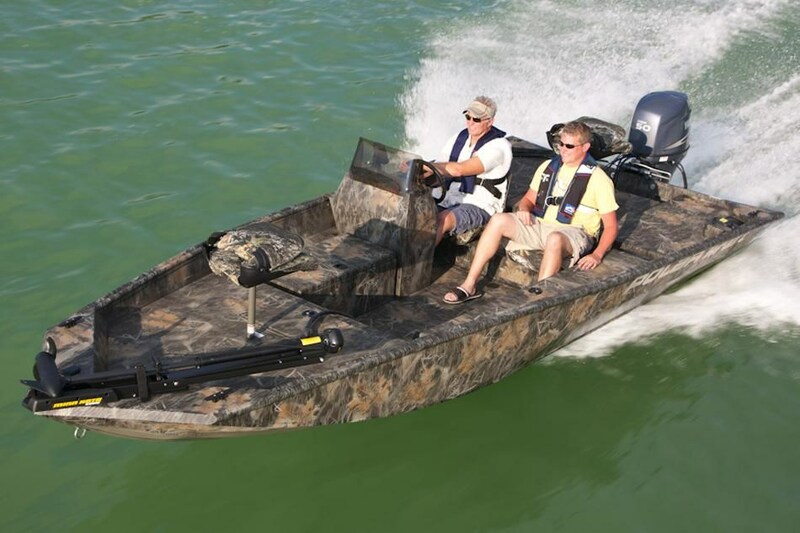 The TRS model adds an expanded center console with a head compartment underneath, cushy aft jump seats with stowage underneath, a premium double-bolstered helm seat, integrated flip-up backrests that transform the padded casting area into a lounge, and more. 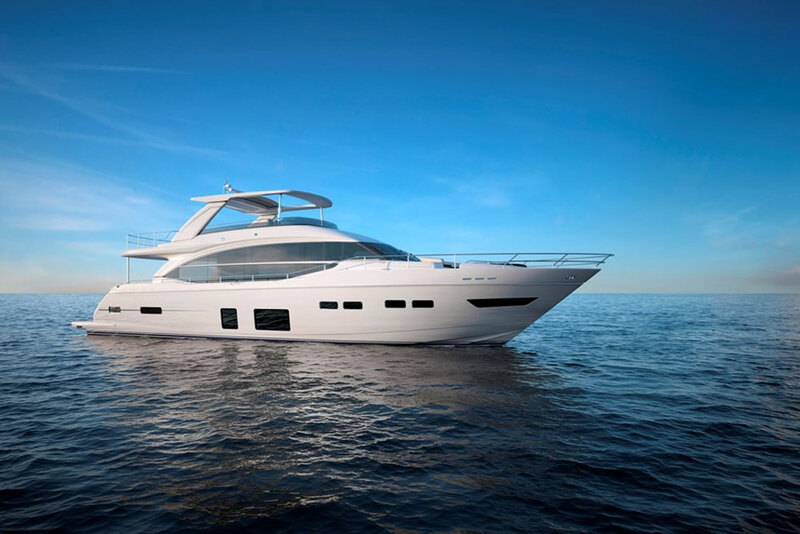 Otherwise, the 2600 TRS rides on the same wave-splitting, double-stepped, 18-degree deadrise composite hull as its HPS brethren. Could a cushier version of the 2600 really fit the bill for billfishing? We'd find out. Capt. Eric Davis was our guide for the day and we set out from the Hutchinson Island Marriott Marina around lunch time. A booming southeasterly sea breeze blossomed outside Stuart Inlet. Running down Indian River Lagoon, the Yamaha F300 four-stroke outboard easily pushed the 2600 TRS up into the lower 50 MPH range, making quick work of the five-mile run to the inlet, burning about 25 gallons per hour in the process. Acceleration was impressive, too, with a zero to 30 MPH time of just under eight seconds. Outside of the inlet we peeled back to the 20’s and set a course offshore through a four-foot swell topped by a one- to two-foot chop. The F300 burned just 7.1 gallons per hour at these speeds, which nets a theoretical cruising range of around 200 miles with the 70-gallon fuel tank. And the 2600 TRS handled these conditions with ease. It provided an amazingly dry, smooth ride for the five folks aboard, and it’s also worth noting that the 2600 TRS never felt crowded even with the full crew. That’s thanks, in part, to a generous 8’10” beam. Dipping his net into the 36-gallon port livewell in the aft casting deck, Capt. Davis pulled out an unwilling pilchard and deftly skewered it onto a large circle hook, before drifting it back behind the boat. He repeated the ritual until we had four of the 16 rod holders occupied. And, before we knew it, line was screaming off one of the port rods. I took it in hand hoping for a sailfish. But without any aerial displays it quickly become apparent that I was tangling with something other than a billfish. Soon after, a 20-pound false albacore (generically called “bonita” in these parts) came aboard before being safely released. Since I was the billfish “virgin” the crew allowed me to take the next several bites—but none of them were sailfish. Feeling parched in the Florida sun I went forward to grab a drink. There’s an insulated cooler under the upholstered seat on the forward end of the center console, and it did a great job of keeping 20 or so sports drinks, bottles of water, and sodas nicely cooled. Cracking one open, I heard line peeling off a reel and then saw one of my colleagues hop up on the aft casting deck. A sailfish rocketed out of the water about 100’ off our stern, smoking line off the drag in the process. Within a few minutes the sailfish was alongside and posing for photo ops with the crew. Capt. Davis successfully revived and released the beast once we’d taken a sufficient amount of social media bragging photos. As the sailfish slowly swam away, we all looked at each other and I said, “A sailfish on a bay boat, how about that?” How about that, indeed. Capt. Eric Davis brings an Atlantic sailfish alongside our Pathfinder 2600 TRS about 25 miles off Hutchinson Island, FL. - proof-positive that the 2600 TRS can handle bluewater billfishing. Cleaned up and with the fishing gear stowed to run, Capt. Davis headed toward shore, the wind now billowing stiffly out of the southeast at around 20 knots. The lazy swells sprouted up to around five feet, topped with a three-foot chop. 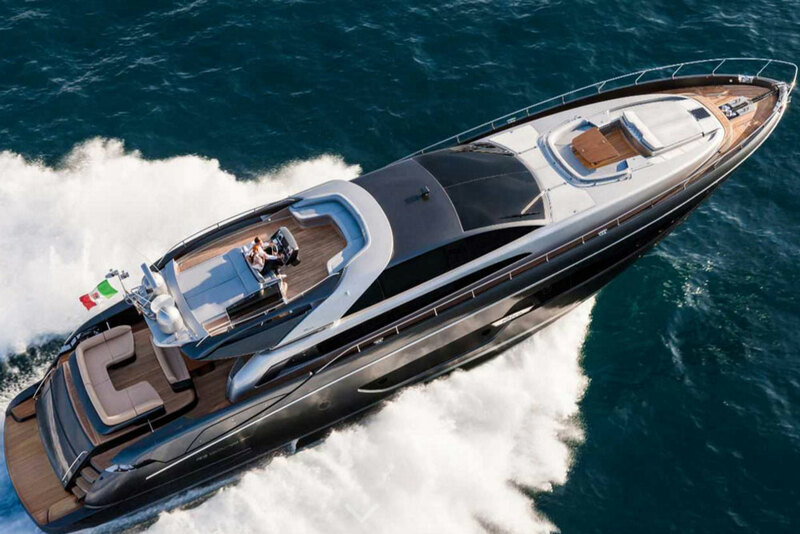 Yet the Pathfinder 2600 handled it all with relative ease, launching off the tops of waves and crashing down with an authoritative “thump” that was not at all jarring. Each time we landed off a wave we all looked at each other in surprise, having expected our spinal columns to be compacted in shuddering pain. It never really happened. I did find a couple of minor negatives to note. The popup backrests in the bow are certainly handy for creating a relaxing space on the fly, but the ones on our test craft kept popping up unannounced—especially underway—and were a bit confusing to get re-latched; some adjustments may be necessary. And the mahogany-look steering wheel looked great, but in reality it felt sort of unsubstantial and cheap. I’d likely opt for a stainless-steel destroyer wheel if it were my boat. Thought the ones on our test boat needed some adjustment to stay in place, one of the 2600 TRS’s comfort features are these integrated pop-up backrests, which turn the casting area into a lounge for two passengers. These minor quips aside, the Pathfinder 2600 TRS is one of the nicest fishing boats I’ve run in the last two years, and one of the nicest running boats I ran in 2015. It’s not only got the credentials to help you get the big ones, but it will get you and your family out there in comfort, too. 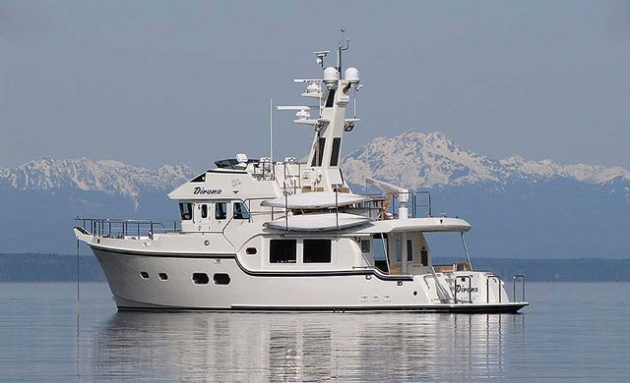 Other Choices: Another big, beefy bay boat that can head offshore is the Grady-White 251 Coastal Explorer. 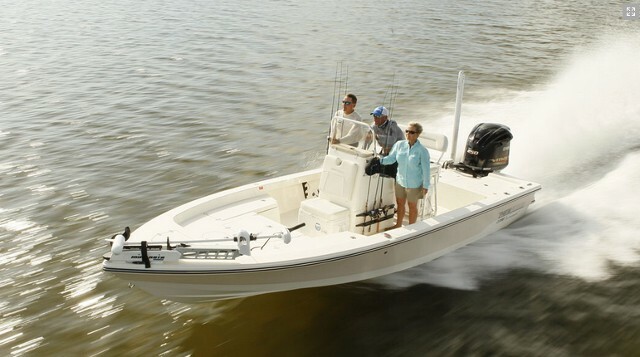 Slightly smaller and less expensive, the Sea Hunt BX 24 BR also has some blue-water potential. For more information visit Pathfinder, or look at the latest Pathfinder 2600 listings. Test conditions: Winds 10 - 15 knots, 2 POB. Performance data courtesy of Yamaha.